"Midland Cleaning Services Limited have been providing cleaning services to us for some time now and from day one they have always been totally committed in achieving the high standards of cleaning that we require." "From the excellent service that we have received I would have no hesitation in recommending Midland Cleaning Services Limited to other companies looking for a cleaning company." Midland Cleaning Services offers a complete cleaning service for industrial offices, offices and shops, we also offer one off cleans and builders cleans. "Since Midland Cleaning Services has taken over the cleaning services for us we have been very pleased with the way they have always been dedicated to maintaining high standards of cleaning. From the start Midland Cleaning Services made sure that all areas where included in there cleaning schedule." 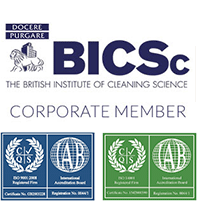 "Before the start of the contract we had previously used another cleaning company for several years and we had allowed standards to decline, and as a consequence the work environment had begun to suffer. Since the service was taken on by MCS we have seen a continuous improvement, the standard now being delivered has exceeded our requirements in the majority of areas." "MCS handled the transfer of employment of some of the previous cleaners (TUPE) almost seamlessly and certainly with no disruption of services." R.G. (Bob) Holt - Facilities Manager - Turner Powertrain Systems Ltd.